Although much discourse currently abounds about what constitutes threats to citizen security, there is a shortage of analysis about Euro-American colonialism as racist terrorism – for profit. It is remarkable too, that there are disclaimers in historical accounts that represent Danish colonialism as “mild” when there was nothing hesitant about the application of over two centuries of racist Danish colonial terrorism in the Virgin Islands. Moreover, while the USA currently wages wars, ostensibly against terrorism [a nameless, faceless enemy] and claims to be deploying democracy as a foreign policy, this narrative is a cover-up. In reality, USA occupation and aggression entails extraordinary human rights violations, which are normalised as governance of places like the Virgin Islands. There is no doubt that the cruel conspiracy of enslavement, enacted among Europeans, Arabs and Africans, unleashed raw, racist terrorism on over 40 million Africans, at home and in the Diaspora. Denmark, the 7th largest European coloniser, maintained colonies for almost two centuries. The extent of injustice meted out to the majority class before and after the USA purchase of the Virgin Islands and its people – an illegal and immoral transaction with Denmark, propelled Rothschild Francis, icon from St. Thomas, to become a passionate social justice activist. Rothschild Francis was a civil rights leader in the Virgin Islands after the 1917 transfer from Danish to United States sovereignty. His foray into politics was born from a need to address the causes of the economic, social and political disparities that created undue hardships for Virgin Islanders (http://stthomassource.com/content/news/local-news/2013/10/11/analysis-rothschild-francis-and-fight-democracy-part-1). Despite the fact that Africans won their emancipation from Danish enslavement in 1848, the Danish and United States of American government authorities illegally entered into a transaction of sale of the Virgin Islands for the lucrative sum of $25 million in gold. Having garnered immeasurable wealth and prestige from criminal colonial pursuits, it is scandalous that there has been a rigging of European history, a consensus of forgetting that facilitates the psychotic condition called colonial amnesia. This systematic suppression of colonial memory has disfigured the moral compass of the European Continent. I have often pondered the contradiction that Europeans pride themselves on being the champions of Christianity yet justified their terrorist practices. Despite all the morality that they set out to bestow on colonised people of colour, it is amazing that no-one was tapping anyone on their enslaving shoulders to remind and restrain each other in the name of said moral responsibility. What is even more profound was that after the cantankerous enslavement system was routed by rebellious African resistors and their European and mixed race free allies, von Bismark, then German Chancellor, hosted 14 European nations for six months (1884-85) to scramble for Africa. They all agreed to participate in the dastardly African underdevelopment (Rodney, 1973) with no one recorded as voicing any objection. Since being employed as an International Fellow at the Flensburg Maritime Museum in Germany to curate an exhibition and write a paper on Danish Colonial Legacy in Flensburg, the Virgin Islands and Ghana from an African Caribbean perspective, I have had to do some serious critical reflection on this psychosis of forgetting, a sort of self-hypnosis, which enables Danes and Germans alike, who have to be considered together because of their entangled histories, to convince themselves to this day, that their Empire days was a project of noble civilisation of backward Africans. 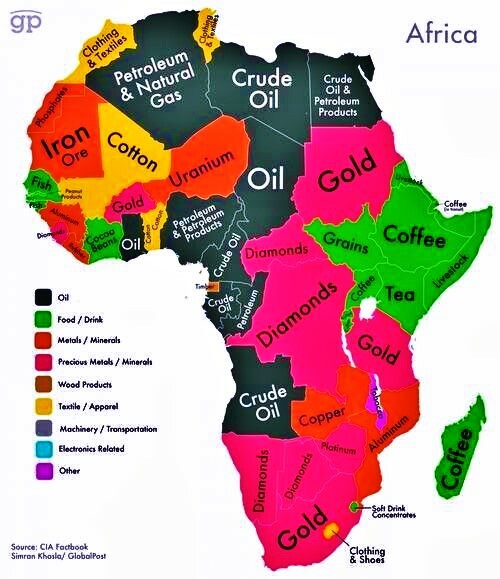 The political economy of the carving up of the African Continent is conveniently forgotten. The initial experiences of colonialism have been screened at different points in time rendering the past in versions very far from the actual historical events themselves. Recently, new claims for reparations for slavery and colonialism in the former Danish West Indies have challenged the existing notions of the colonial past in Denmark. These claims have not resulted in an official Danish politics of regret…as witnessed in other former colonial states. Whereas, a radical break away from the earlier conceptions of the colonial past is demanded, instead new figurations and renarrations have been used to try to incorporate the new challenges to the historical imaginary into the older layers of memory without radically breaking away from it, creating somewhat surprising results that questions (sic) the notions of a uniform global memory and understanding of historical injustices (Andersen, 2013: 1, http://link.springer.com/article/10.1007/s10767-013-9133-z#/page-1). When I presented on these issues at the Flensburg World Cafe, held Thursday (July 28, 2016) at the Flensburger Schifffahrtsmuseum, it was fascinating to marshal the panoramic range of response to the revelations of multilayered colonial realities that I encountered when I visited the Virgin Islands of the United States from June 26-July 7, 2016. I went to find out what people thought about the Flensburg Maritime Museum creating this project as a contribution to the 2017 centennial commemoration of the sale of the Virgin Islands and its people to the United States of America. It was pointed out sharply that the Danes had no authority to have entered into that transaction, from which it earned $25million (in gold, mind you), and neither did the US – because the enslaved had won their freedom 69 years before that and the free were consigned to colonised status in one fell swoop. However, they were heartened that the project provided a poignant opportunity for critical reflection on Danish colonial terrorism, which has been practically overwhelmed by the paradoxes of USA occupation. This condition of USA settler colonialism is treated with utmost delicacy as critical analysts of this criminality have been psychosocially and socio-economically victimised for speaking out. I imagine this Big Brother response is seen as mandatory since revelations about this dilemma are not congruent with popular propaganda about the USA as the dispenser of development. People in the VI were also unaware of the branding of Flensburg as Rum City and its enrichment from the resources of sugar and rum, produced from the unremunerated labour of enslaved Africans. Incredibly, those engaged in the rum trade rationalise that they were not as bad as their peers doing the human trafficking side of the transatlantic triangle. Like hello? What part of the Marxian theory of the surplus value of labour is not being addressed here? If you traded in rum and sugar, you were complicit in the terrorist system of dehumanisation and torturous production and reproduction that the system entailed. But it seems that for Euro-Americans, the jury is still out on the logic of this argument. As was also discussed during the World Cafe presentation in Flensburg, the political economy of the annual family-day Rum Regatta celebration has not traditionally been questioned – people just never even wondered where the rum came from! I called upon the wisdom of Paulo Freire to try to empathise with the wounding that both coloniser and colonised experienced in the Holocaust of Enslavement. Incidentally, I am deliberately reiterating this concept of Holocaust because the word is a catalyst for re-thinking and re-membering that resonates in Denmark-Germany. Besides, Jews did not have a monopoly on the experience of the concept. At all stages of their liberation, the oppressed must see themselves as women and men engaged in the ontological and historical vocation of becoming more fully human. Reflection and action become imperative when one does not erroneously attempt to dichotomize the content of humanity from its historical forms (Freire, 1970: 66). The embodiment of African Emancipation: Freedom! the dialogical character of education as the practice of freedom does not begin when the teacher-student meets with the students teachers in a pedagogical situation, but rather when the former first asks herself or himself what she or he will dialogue with the latter about. And preoccupation with the content of dialogue is really preoccupation with the program content of education (1970: 93). Why do the dominant elites not become debilitated when they do not think with the people? Because the latter constitute their antithesis, their very reason for existence. If the elites were to think with the people, the contradiction would be superseded and they could no longer dominate. From the point of view of the dominators in any epoch, correct thinking presupposes the non-thinking of the people (ibid. : 131). Liberation demands taking a third-eye view of terrorism, an ancient form of emotional intelligence. Damn! This is not a walk in the park is it? But as my dad used to say back in the day, “A habit is a cable: you weave a thread of it every day and it soon becomes so strong that you cannot break it.” So this habit of colonial amnesia is deep. It must therefore be traumatic for the dominant class to experience someone like me prodding the skeletons in the closets of history to enflesh themselves and reveal that as Shakespeare declared in Hamlet, via a speech by Marcellus, “something is rotten in the state of Denmark.” The playwright was, clearly, very intimate with the truth about the lies. Instead of the protracted denials of culpability however, wouldn’t it make more sense, in the interest of healing the breach and providing the elusive moral responsibility with some space to flourish, to just admit wrongs and seek mechanisms of social transformation? Andersen, A.N. “We Have Reconquered the Islands”: Figurations in Public Memories of Slavery and Colonialism in Denmark 1948–2012, Published online: 7 February 2013 # Springer Science+Business Media New York 2013, (http://americanarchivist.org/doi/pdf/10.17723/aarc.64.1.h6k872252u2gr377). Freire, P. Pedagogy of the Oppressed, Continuum, New York and London, 1970, (http://www.msu.ac.zw/elearning/material/1335344125freire_pedagogy_of_the_oppresed.pdf). Rodney, W. How Europe Underdeveloped Africa, Bogle-L’Ouverture Publications, London and Tanzanian Publishing House, Dar-Es-Salaam, 1973. Dr. Imani Tafari-Ama, Curator, Flensburger Schiffahrtsmuseum. This entry was posted on August 8, 2016 by conspiracyanalyst in Africa, American Foreign Policy, International News, Resource Wars, Terrorism, War & Peace and tagged Africa, colonialism, racial terrorism.